Antacids are readily available without a prescription and typically contain aluminum in various forms (for example, aluminum hydroxide, aluminum phosphate, aluminum carbonate), calcium carbonate, magnesium hydroxide, sodium bicarbonate, or a combination of these ingredients. Many antacids are available. Several familiar examples include Gaviscon, Maalox, Mylanta, and Tums. Some may contain a foaming agent to help block the stomach acid from backing up into the esophagus. 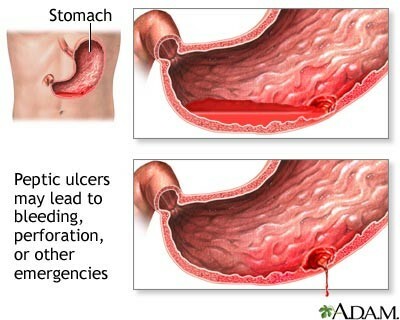 * How antacids work: Antacids neutralize stomach acid, thereby decreasing the acid’s ability to cause irritation and inflammation of the esophagus. * Who should not use these medications: Individuals who have experienced an allergic reaction to any component of an antacid should avoid use of antacids containing the offending component. * Use: Antacids are available as liquids or chewable tablets. Dosages vary, so follow package directions. If your symptoms are not relieved after regular use over several weeks, contact a doctor. * Drug interactions: The absorption of many drugs (including vitamins and iron) may be affected by antacids, which change the acidity of stomach contents. If you take other medications, ask your doctor or pharmacist for information on interactions with antacids. * Food interactions: High-protein meals may decrease the effect of aluminum-containing antacids. Prolonged antacid use and excessive consumption of calcium may cause high calcium levels and result in serious metabolic disease. * Side effects: After regular use for several weeks, antacids may cause diarrhea (magnesium-containing antacids) or constipation (aluminum-containing antacids). They may impair calcium metabolism and may cause magnesium to accumulate, which may damage the kidneys. Cimetidine (Tagamet), famotidine (Pepcid), nizatidine (Axid), and ranitidine (Zantac) are examples of histamine-2 (H2) blockers. Several of these drugs can be purchased without a prescription in low doses to treat mild, occasional heartburn. Higher doses require a doctor’s prescription. * How H2 blockers work: These drugs decrease the amount of acid produced by the stomach. * Who should not use these medications: Individuals who have experienced an allergic reaction to H2 blockers should not take them. * Use: Various dosage regimens are used. If using an over-the-counter nonprescription product, carefully follow the directions for use on the package. For prescription-strength products, your doctor will direct you on how to take the medication. H2 blockers are available in tablet, capsule, and oral liquid forms. * Drug or food interactions: Many drugs interact with H2 blockers (particularly with cimetidine). If you take other medications, ask your doctor or pharmacist for information on interactions with H2 blockers. These drugs decrease the body’s ability to excrete caffeine. Individuals who consume large quantities of caffeine may experience tremors, insomnia, or heart palpitations. Cimetidine may increase the likelihood of alcohol intoxication. * Side effects: Confusion, depression, and hallucinations have been reported, particularly in elderly individuals or those who are unable to adequately excrete the drugs (for example, people with kidney disease). High doses taken for over a long time have caused breast enlargement and sexual dysfunction in men. Rarely, H2 blockers cause liver toxicity or decreased platelet counts. (Platelets are blood cells that form clots and decrease bleeding.) If you take these drugs regularly, your doctor will monitor your blood for adverse effects. Esomeprazole (Nexium), lansoprazole (Prevacid), omeprazole (Prilosec), pantoprazole (Protonix), and rabeprazole (Aciphex) are examples of proton pump inhibitors. Esomeprazole is a newer, improved form of omeprazole and has been found to provide sustained relief of heartburn pain more quickly than omeprazole (in 5 days with esomeprazole taken at 40 mg/day versus 7-9 days with omeprazole at 20 mg/day). * How proton pump inhibitors work: These drugs are more potent than H2 blockers in blocking acid secretion from the stomach. * Who should not use these medications: Individuals who have experienced an allergic reaction to these drugs should not take them. * Use: Proton pump inhibitors are taken orally as a once-daily dose. Pharmacists may make liquid forms of omeprazole and lansoprazole for children. Contents of esomeprazole capsules may be sprinkled on a tablespoon of applesauce immediately before administration for people who cannot swallow capsules. * Drug or food interactions: These drugs may increase blood levels of diazepam (Valium), warfarin (Coumadin), phenytoin (Dilantin), and digoxin (Lanoxin) and may interfere with the absorption of iron products like ketoconazole (Nizoral) and itraconazole (Sporanox), thereby decreasing their effectiveness. * Side effects: Common adverse effects include headache, diarrhea, gas, and stomach pain. Sucralfate (Carafate) may be used initially to protect an irritated or inflamed esophagus. * Who should not use these medications: Individuals who have experienced an allergic reaction to this drug should not take it. * Use: Sucralfate must be taken 4 times a day on an empty stomach and at least 1 hour before meals. * Drug or food interactions: Sucralfate may decrease effects of ketoconazole (Nizoral), ciprofloxacin (Cipro), levofloxacin (Levaquin), tetracycline (Sumycin), phenytoin (Dilantin), warfarin (Coumadin), quinidine (Quinaglute, Cardioquin, Quinidex), and theophylline (SLO-BID, Theo-24, Theo-Dur, Uniphyl). * Side effects: Sucralfate should be used with caution in people with kidney failure because it contains aluminum, which may accumulate in the body. The drug often causes constipation. Metoclopramide (Clopra, Maxolon, Reglan) may be used if reflux is a result of a condition that delays stomach emptying (for example, diabetes). * How promotility drugs work: Promotility drugs treat reflux by increasing LES tone and enhancing emptying of food from the stomach. * Use: Take these drugs 30 minutes before meals and at bedtime. * Drug or food interactions: Promotility drugs should not be used with drugs that cause extrapyramidal symptoms, such as muscle stiffness, tremor, or twitching, and uncontrolled movements of the face, tongue, eyes, neck or head. Examples of drugs that may cause extrapyramidal symptoms include bupropion (Wellbutrin, Zyban) and phenothiazines (chlorpromazine [Thorazine], fluphenazine [Prolixin], haloperidol [Haldol], olanzapine [Zyprexa], thioridazine [Mellaril]). Do not use promotility drugs within 14 days of taking monoamine oxidase inhibitors (MAOIs) (Marplan, Nardil, Parnate), tricyclic antidepressants (Elavil), or stimulants such as diet pills or decongestants (Sudafed). * Side effects: Common effects include drowsiness, and constipation. Promotility drugs may cause irregular heartbeat. Contact your doctor immediately if you experience any of the previously described extrapyramidal symptoms. * Instead of eating large meals, eat small meals more frequently. * Avoid caffeine-containing foods and beverages (for example, coffee, tea, soft drinks, chocolate). 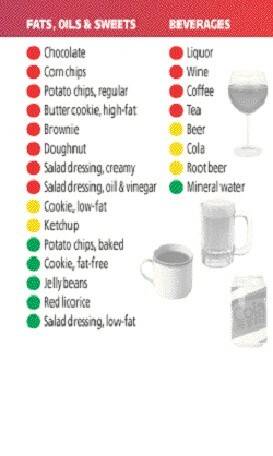 * Avoid foods that decrease LES pressure (for example, peppermint, fatty or fried foods, alcohol). * Avoid acidic foods that may irritate the esophagus (for example, spicy foods, citrus fruits and juices, tomatoes, tomato sauce). * If overweight, lose weight. People with excess weight have an increased incidence of reflux disease. * Quit smoking. Smoking weakens the LES and increases reflux. * Do not eat immediately before bedtime. * Avoid lying down immediately following a meal (ideally, you should wait at least 3 hours). Elevate the head end of your bed by 4-6 inches if you experience nighttime heartburn. The food you swallow travels from your mouth to your stomach through a hollow tube doctors call the esophagus (the food pipe. Before entering the stomach, food must pass through a tight muscle at the lower part of your esophagus called the lower esophageal sphincter (LES). The LES prevents food from traveling backward into the esophagus. Once in the stomach, stomach acid digests your food. This acid is very strong and can damage most parts of the body. Fortunately, your stomach is protected from its own acid by a special mucous layer. Your esophagus, however, does not have any such special protection. If your LES does not close completely, the lower part of your esophagus can be damaged by stomach acid. When this happens, you may experience heartburn. Conditions such as hiatal hernia, pregnancy, or diabetes may predispose individuals to reflux disease. Infants, particularly premature infants, commonly experience reflux disease. * Heartburn is an uncomfortable but common feeling of burning or warmth in the chest. Although the pain associated with heartburn is felt in the chest, it has nothing to do with your heart. Instead, heartburn is caused by stomach acid. * Gastroesophageal reflux disease (GERD) is a condition that causes your esophagus to be irritated and inflamed because of acid backing up from your stomach. GERD is a common condition that affects from 5% to 7% of the population. The most common symptom of GERD is chronic heartburn, but it's not the only symptom. NOTE: chest pain is also a symptom of heartburn. However, it is often difficult to differentiate chest pain due to heartburn/GERD and chest pain due to heart disease. Therefore, be sure to get all chest pain evaluated IMMEDIATELY by a health care professional. Sometimes, there are no symptoms and GERD is only diagnosed when complications (see below) arise. First your doctor will review your symptoms with you and do a complete physical examination. If he or she believes that you have GERD, usually you will be given a trial run of GERD medications (proton-pump inhibitors such as Nexium, Prilosec and Prevacid) for two weeks to see if you experience relief. In some instances, further testing, such as pH testing may be needed to aid in diagnosis. There is no known single cause of GERD. What we know is that GERD occurs when the normal defenses of the esophagus are overwhelmed by acid refluxing into it from the stomach. Normally stomach acid is kept in the stomach by a muscular valve between it and the esophagus called the lower esophageal sphincter. If that valve is faulty for any reason, reflux occurs. The symptoms of GERD are a result of the damage caused by stomach acid that has entered the esophagus (heartburn, belching) or higher into the throat (hoarseness, sore throat) or even into the mouth (sour taste in the mouth, erosion of tooth enamel). GERD is usually treated with a combination of prescription medications and lifestyle changes. Note that drug treatment is taken over the long term, not occasionally. What happens if GERD goes untreated? * Esophagitis. This is an erosion of the lining of the esophagus caused by stomach acid. * Dysphagia. Over time, untreated GERD causes difficulty swallowing or dysphagia. * Barrett's esophagus. The chronic exposure to stomach acid can cause changes in the cells of the esophagus that may be precancerous. * Esophageal cancer. Years of exposure to stomach acid may cause cancer of the esophagus. Edited by Charlotte E. Grayson, MD, September 2003. Copyright © 2004, The Cleveland Clinic. 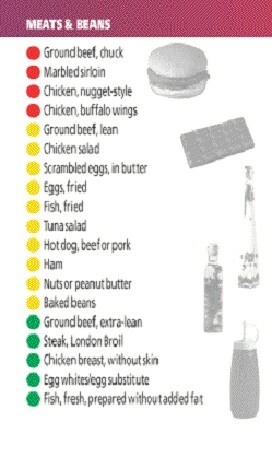 How bad is your heartburn? What are the chances that you may have something seriously wrong?Want to know if you possibly have GERD? Here's a simple test that you can take. Remember if you have heartburn that occurs more than twice a week and/or does not get better with over the counter antacids, you may have GERD. 1. Do you often have a feeling behind your ribs that starts up from your stomach? 2. Do you often have a burning sensation in the back of your throat? 3. Do you often have a bitter/sour taste in your mouth? 4. Do you often experience these problems after meals? 5. Do you experience heartburn or indigestion two or more times per week? 6. Do you find that antacids only provide temporary relief? If you answered YES to two or more of these questions, you may have GERD. To find out for sure SEE YOUR DOCTOR. Myth: My heartburn is my fault. Fact: Too many heartburn sufferers believe that they are to blame for this painful malady. While it is true that certain lifestyle habits and the foods and beverages you eat and drink may aggravate your heartburn symptoms, many people make significant lifestyle changes to prevent heartburn and still experience heartburn. Heartburn is a medical condition with real biological causes, and heartburn sufferers need not compound their discomfort with shame and guilt. Myth: Heartburn is a fact of life that I can't control. Fact: People with heartburn don't need to suffer in silence. Changes in diet and lifestyle as well as a fast-growing range of over-the-counter (OTC) and prescription medications can provide relief for most sufferers. Surgery or newer non-surgical techniques may be appropriate treatment options for some. Myth: Heartburn is just a minor, trivial complaint. Fact: Heartburn is common, but it is not trivial. In fact, frequent heartburn can severely impact the productivity, daily activities and quality of life of those who experience it. In addition, persistent heartburn could be a symptom of a more serious condition called GERD which, if left untreated, can cause or contribute to a wide range of problems such as ulcers of the esophagus, asthma, chronic cough, and in rare cases, cancer of the esophagus. These complications may be avoided with proper monitoring from a physician. Myth: After-dinner mints offer a soothing way to drift off to sleep. Fact: Mints on the pillow are generally not a good way to ensure a peaceful night for heartburn sufferers. In fact, bedtime mints combine three common heartburn triggers—chocolate, mint and lying down—making them more likely to inspire heartburn than pleasant dreams for some sufferers. Myth: Antacids aren't real medicine. Fact: Many people believe that since antacids are sold without a prescription (OTC) that they are not real medicine. In fact, they are medicine, and you should be sure to read and follow the package directions carefully before using them or any drugs. If used in moderation and occasionally, antacids are generally safe. However, frequent use of certain antacids can cause diarrhea or constipation. Also, since some antacids cause interactions when used with other medications, be sure to let your health care professionals know that you are taking antacids if they are recommending other medications. Myth: I have to live with my heartburn. Fact: Many people don't believe that heartburn can actually be prevented, but some of the newer OTC medications can actually prevent heartburn as well as provide complete symptom relief. OTC H2 blockers reduce acid for up to 12 hours. Proton pump inhibitors (PPIs) more effectively inhibit acid production—and therefore can prevent and even eliminate heartburn symptoms in most patients. Myth: If I take a drug to suppress acid, I won't be able to digest my food. Fact: Our bodies produce acid that helps break down food in the stomach and kills harmful bacteria. Acid works together with other substances in the stomach called enzymes to break down food. Even OTC proton pump inhibitors, which work directly on active acid pumps to significantly inhibit acid production, allow enough acid to be produced so that normal digestion of food occurs. Which Test for Detecting Helicobacter pylori? Methods for documenting H. pylori infection include serology, urea breath testing, and stool testing. Breath testing and serology have comparable sensitivity and specificity, but serology provides faster results and so is preferred for initial diagnosis. Breath testing is more useful than serology in diagnosing failure of eradication of H. pylori or reinfection in patients who were previously treated for H. pylori infection, because the serology will usually remain positive for several months even after successful treatment. However, because proton pump inhibitors can suppress H. pylori without eradicating it, use of these drugs should be avoided for 2 weeks before the urea breath test is administered, to minimize false negative results. Stool testing for H. pylori antigen compares favorably with urea breath tests.1 Like breath testing, stool testing can distinguish current infection (antigen present in stool) from past infection (antigen not present in stool). Antimicrobial agents with activity against H. pylori include metronidazole, tetracycline, amoxicillin, and clarithromycin. Most popular are 10- to 14-day regimens, although 7-day courses may be effective and are especially favored in Europe. A 2-week course of a three-drug regimen that includes a proton pump inhibitor, clarithromycin, and amoxicillin has a success rate approaching 90%. The major causes of treatment failure are poor compliance with the regimen and clarithromycin resistance; the latter occurs in about 10% of current strains and is increasing with more macrolide use in the population. Metronidazole resistance occurs in 30% to 40% of strains. However, unlike resistance to clarithromycin, which is usually absolute, resistance to metronidazole is relative and can be overcome in some patients. 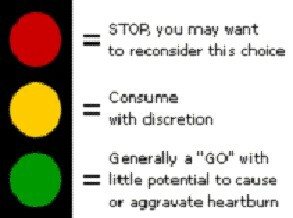 The more "yellows" and "reds" you consume, the more likely you may be to experience heartburn. 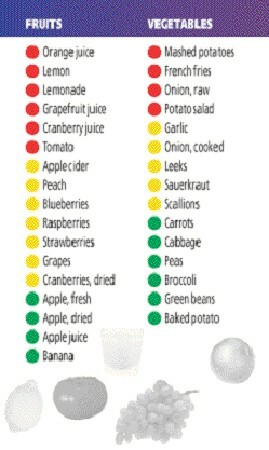 Tolerance for foods and beverages listed below will vary from person to person. Eight ounces of lemonade may be tolerable for one person and a heartburn disaster for another. Pay close attention to portion size for all foods consumed and note what quantities, if any, are bearable for your stomach. Use your "personal serving sizes" as a guide. 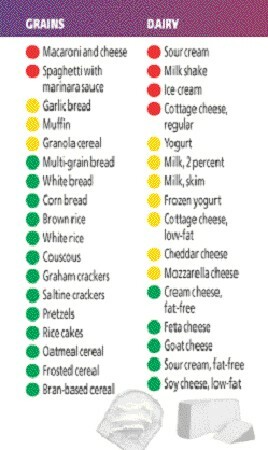 For portions that are excessive, move up one level on the color continuum (i.e., green to yellow, yellow to red).